The Community Players of Salisbury, Inc., one of the oldest continuously operating community theaters in Maryland, has been a part of the Salisbury community for over 70 years. In 1937 a group of 26 charter members, with the purpose of bringing culture and pure entertainment to the Eastern Shore and providing an outlet for people interested in dramatics, began the process. The Players were organized under the Recreation Division of the Works Progress Administration in May of 1938, with Mr. Arthur Richardson as head of the project and elected Mr. Denmead Kolb their first President. Their first play, The Singapore Spider, directed by Mr. Arthur Richardson, was presented in May of 1938. 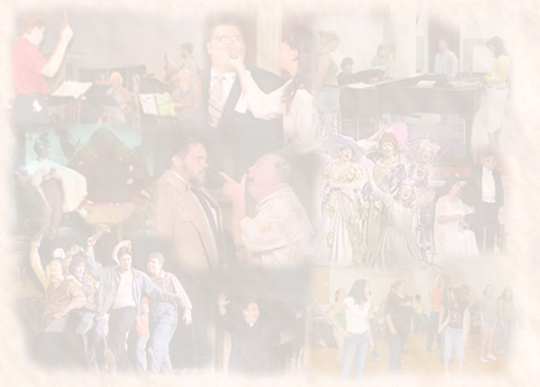 The next 16 years were filled with an eclectic collection of season productions. The number of shows produced in each season varied from as few as two to as many as five. Then, in 1964, the format changed dramatically with the introduction of a major musical production to open the season. The first musical, Guys & Dolls, was presented in November of that year. The musical was highly successful and as a result a major musical production has been part of the season format ever since. Currently the Community Players of Salisbury regularly produce four shows within the season, a major musical, and three additional shows, comedies, dramas and/or an additionl musical. Occasionally a special show will be added to the season. The shows have been presented in a number of venues throughout the area including Wicomico Senior High School, Wicomico Junior High School, Parkside High School, Bennett High School, The Community Players Barn, Wicomico Youth and Civic Center, Atlantic Hotel Ballroom, and State Teachers College (now Salisbury University), Delmar Middle/Senior High School, and Guerrieri Hall at Wor-Wic Community College. A more detailed History is planned for this Web Page and we are implementing a searchable database for all of our productions. This will allow visitors to this site to look for information on their favorite Community Players productions. As we develop this site we encourage you to contact us with new information or suggestions.